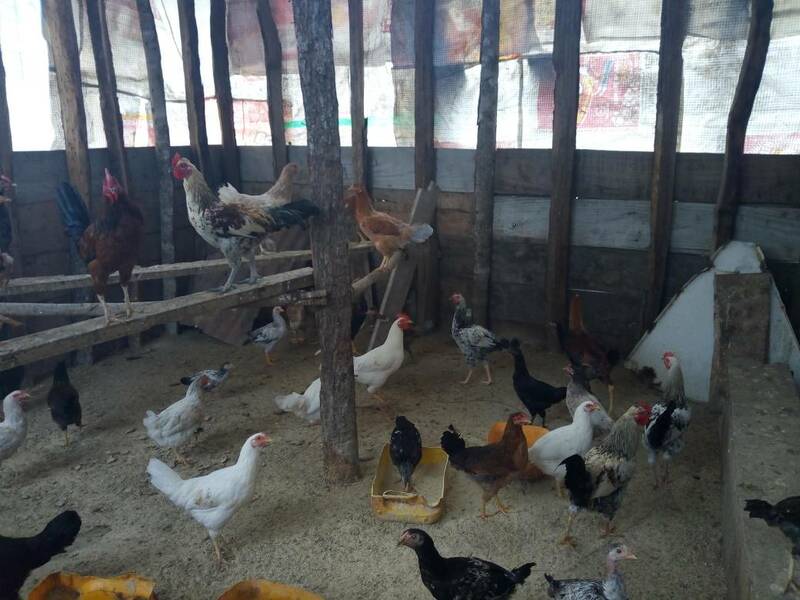 The OMM Family’s chicken banda has quickly grown since its beginning in November of 2017, but seasonal rainfall and wind are slowing the steady progres. Rainwater can damage the banda if it gets inside. When rains are accompanied by strong winds, water comes into the banda through the mesh walls. Due to the weather last month, 100 incubating eggs were destroyed, which caused a loss of 50,000 TZS (US $23.26). In order to combat this challenge, the father of the OMM Family attached plastic bags onto the walls of the chicken banda. 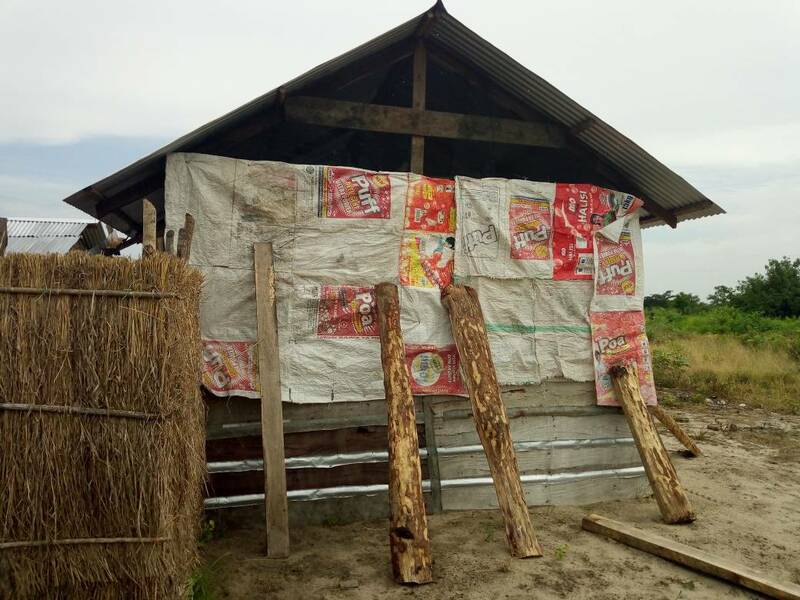 The bags protect the walls from the damaging winds and can be easily removed when it is not raining and the chickens need ventilation. The next step for the family is to harvest three quarters of the chickens and sell them. They will use proceeds from the sale to purchase egg-laying chickens. 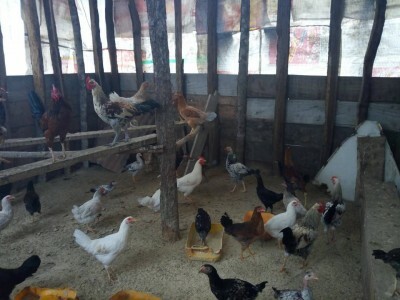 The family wants to have both egg-laying chickens and meat chickens so they can have both consistent income from eggs and higher profits from selling meat.